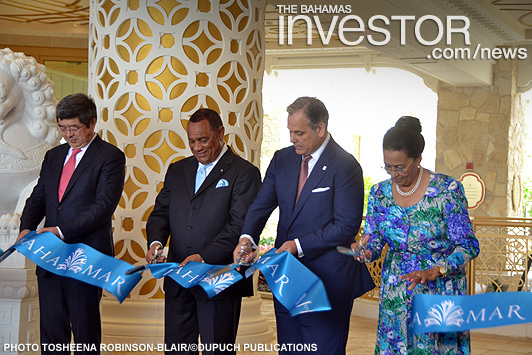 Acknowledging that it has been “a long journey”, Baha Mar president Graeme Davis officially opened the $3.5bn megaresort this morning and said several hundred rooms are already filled, with more to come thanks to “tremendous pent-up demand”. The first phase of the development’s staggered opening saw the 1,800-room Grand Hyatt open its doors to the public, as well as the 100,000 sq ft casino, 30,000 ft luxury spa and restaurant and retail offerings. The Baha Mar website will begin taking online reservations from the general public May 29. 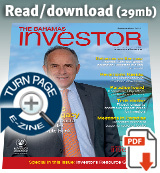 The resort currently employs around 1,600 workers, with plans to increase to 6,000 in the next few years. Davis paid tribute to these employees, noting their dedication in the build-up to today’s official opening. “Seeing the Baha Mar family come together this week has been humbling and inspiring,” he said. Following today’s opening, Davis said the resort is now looking ahead to its next phases, which will include luxury hotel brand SLS, adding landscaping features and more restaurants and opening the Rosewood hotel in Spring 2018. After years of setbacks, the multi-billion dollar Baha Mar resort on Cable Beach finally opens. The recently opened megaresort on Cable Beach already employs 1,600 associates and is looking to increase that to 6,000 as more facilities come on stream. 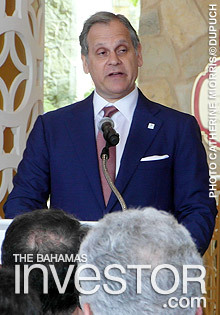 Baha Mar president Graeme Davis estimates the resort will contribute 12 per cent of the nation’s GDP. Watch a ZNS Network news report here.